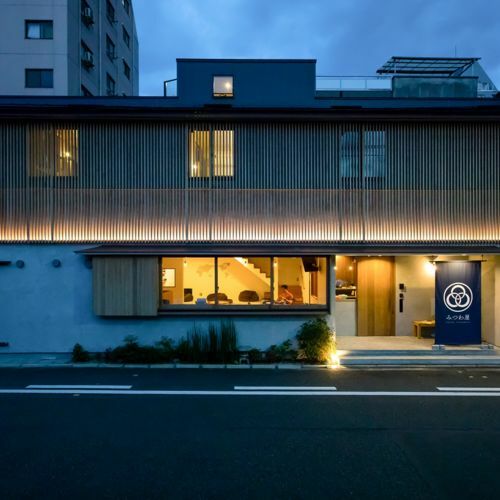 Located around a 20-minute drive from Osaka Airport and Shin-Osaka Station, this serene hotel located in Minoh Quasi-national Park features a relaxing hot spring. 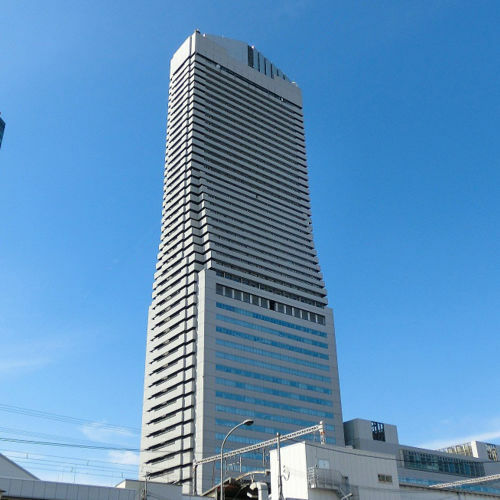 This hotel, located on high ground at the entrance to the Meiji-no-Mori Minoh Quasi-National Park, has a spectacular night view of the Osaka plain. 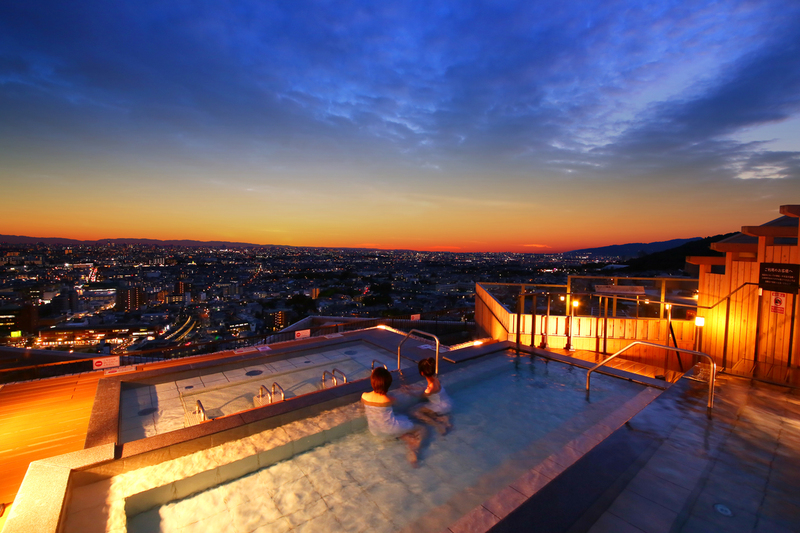 The open air Sky Bath on the top floor sits at an elevation of 180 meters, offering million dollar night views of the Osaka plain as you soak. 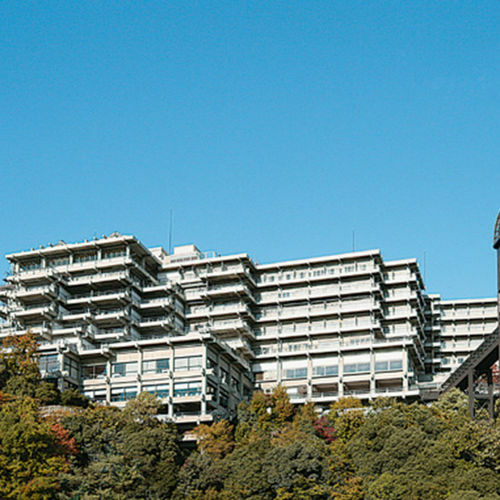 In addition to boasting one of the largest buffets in Kansai, with 150 options at the dinner buffet and 80 options at breakfast, our master chefs (Takaharu Takashina, Western food; Keiichi Maekawa, Japanese; Kenichi Chin, Chinese) are another reason Minoh Onsen Hot Spring has become such a sought after destination. 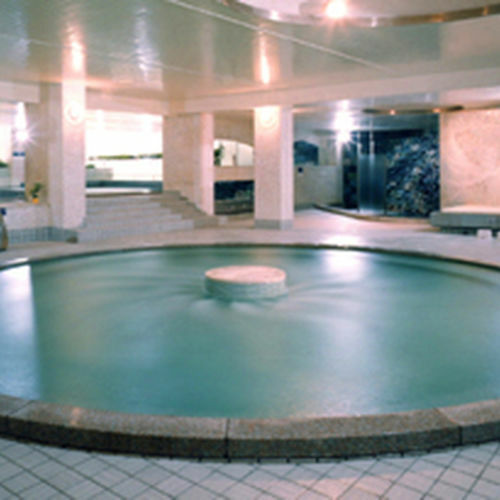 Guests can enjoy the adjoining Minoh Onsen Spa Garden free of charge for two days, the day they stay at the hotel and the following day as well. Kogen Pool is open in the summer months. 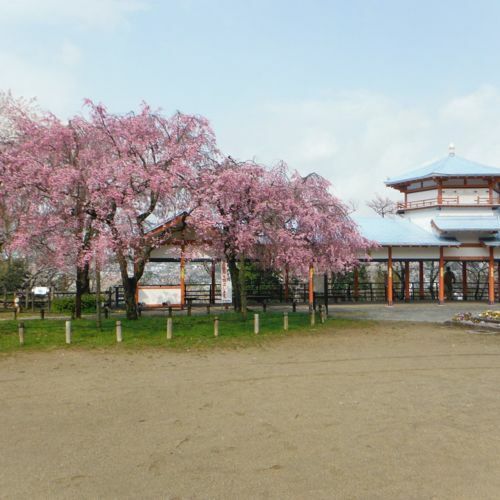 There are a number of scenic walking paths in the area. 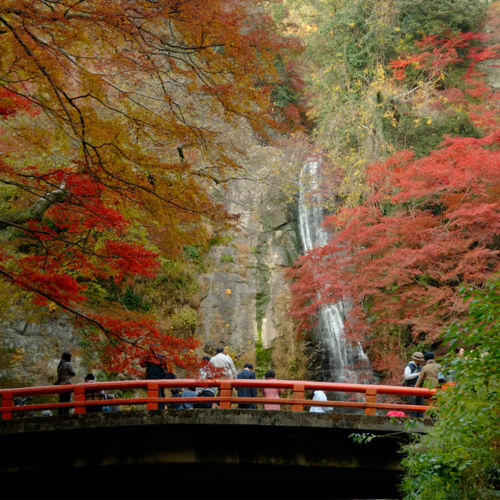 Minoh Waterfall, famous for its beautiful autumn leaves; the Minoh Park Insect Museum, where visitors can see butterflies all year round; Katsuoji Temple, the 23rd of the 33 temples of the Saigoku Kannon pilgrimage; Ryuanji Temple, a famous training ground for Shugendo (Japanese mountain asceticism); the world exposition memorial park, Expoland; and the National Museum of Ethnology are all nearby. 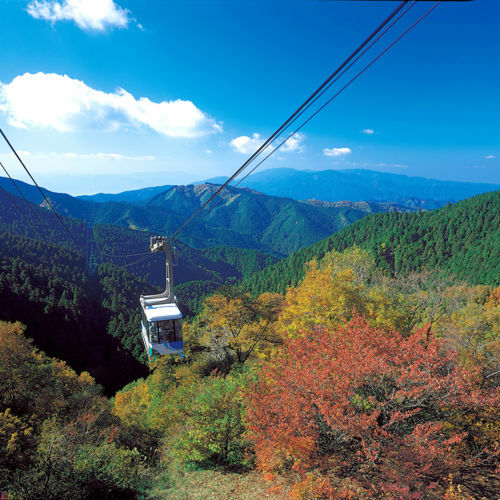 Only 30 minutes away from Osaka’s Umeda, this highlands resort boasts superb hot springs and plenty of fun!